you even know where to start looking? Rule 1: It’s different from popularity. 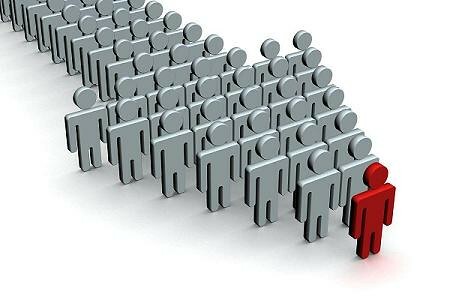 Influencers aren’t always the most popular people on Twitter, many lurk in the 10-100,000 follower grey zone, below celebrities and politicians but above we mere mortals. If you look through Twitter’s ‘suggested users’ list, you’ll find plenty of people with far higher follower counts, but with much less possible marketing value. As an example, let’s look at @Number10gov. The official twitter account of the UK Prime Minister’s office has 1,741,794 followers and there’s no doubting that their statements carry immense weight at international level. Unfortunately, they really aren’t likely to help you sell socks. This brings up the question of interest. Many highly followed accounts have strictly defined agendas, promoting their own content, and while they may occasionally respond to individuals, their interest in brands is extremely limited. Celebrities are another case in point. @KimKardashian has over 4m followers at last count, and she certainly isn’t a stranger to promoting brands. Sounds ideal right? Absolutely, as long as you’re willing to send $10,000 her way. Celebrities are well aware of the influence they have over their fans, and are well prepared to cash in on that. So, budget restrictions and focused interest have cleared out the obvious choices. Who does this leave you with? A difficult question. The best influencers aren’t necessarily the ones in front of the camera, instead they tend to be witty, creative types with their fingers in multiple media pies. The obvious names that pop up are those of broadcasters like Jonathan Ross or Stephen Fry, but given their relative celebrity you may find them difficult to engage. So look deeper. How about Warren Ellis? They also tend to engage in conversation with random individuals they find interesting and retweet a variety of content, simply because they find it interesting. In other words they truly engage with Twitter and don’t treat it as a purely promotional device. What does this mean to you? It means if you have a fun ad, an interesting product and a unique campaign then this is the kind of influencer you should be concentrating on. So how to focus in on these key voices that will give your campaign the push you want? Here’s some simple metrics you can use to find the right voices for your product. Firstly, try to remember that true influence involves both the influencer, and the target audience. Becoming an influencer is a long process. Certainly you can be famous in another area, but broadly speaking social media audiences will react to two main factors. Your ideal influencer is acknowledged as a leader or expert in their field. No one can be knowledgeable about everything, so consider who the leading voices in your field are. What is your product and who are the people using it at its best? If you know their names, then your core audience will as well. How is this person working with social media? It isn’t enough that they have a Nobel Prize, are they letting fellow Tweeps know how they got it on a daily basis? Even more importantly, are people interested? There’s a huge raft of C-listers out there tweeting ‘Off to get my hair done’. No. One. Cares. Find an active, subject led engager. Influencers will be specific to media channels, so find out who’s doing what on Twitter, Facebook etc and attempt to strike up conversation with different, relevant people in each area. Now, onto the listeners. As with the influencer, their usefulness to you is based on a number of factors. 1: Right time and place. Consider if your chosen influencer is ahead of the field. Do they retweet from obscure sources regularly? If listeners aren’t receiving useful information when they need it then they’re receiving second hand, useless spam and will tune it out. First past the post wins in social media. Given this, consider how closely the audience is related to the influencer. A first hand tweet reaches them all instantly. A second hand retweet takes longer. An article on a blog, posted to Digg, then Reddit, then tweeted…well, you get the idea. Your campaign should really be multi-channel, but when leveraging influence you need to be laser focused, so consider funneling information into silos for each service you are using. Does what the influencer is saying about your product fit in with their general output? Again, this is tied into picking the right person to start with. People follow because they are interested in specific information, so forget having a celebrity ‘face’ online, and find someone who’s already actively promoting similar content. Engage the hobbyist, rather than the celebrity. This will also help you locate people who command a high level of respect from their followers. Consider whether the audience will trust the influencer, or will they know it’s ‘just an ad’? As with any ad, your audience needs to be confident in the source, and with social media you are effectively supplying 1 to 1 marketing. Your friends wouldn’t lie to you after all, so neither should the influencer. In other words, provide relevant, trustworthy content at the right time, in the right place. If you’re planning a social media campaign and you aren’t following this basic treatise then you’ll be unduly impairing yourself from the start. Find people who already have an interest in your product and get them to help spread the word. *I should point out that I’m not advising that you ask either Warren or Graham to help you sell socks (even if they’re really nice socks). They’ll be too busy writing the uniformly excellent IT Crowd or Gravel anyway. You won’t pay for Twitter. So why should advertisers? It’s no secret that social media and a subscription business model doesn’t exactly go hand and hand. There’s a reason that the world’s most popular social media websites are free to use. But just how difficult would it be for a company like Twitter to charge its users? According to the 2010 USC Annenberg Digital Future Study (PDF), zero percent of users polled indicated that they’d be willing to pay for Twitter. That makes finding a way for newspapers to charge for their websites look like a walk in the park. Behavioural targeting has always been a hot topic as marketers constantly strive to understand exactly who’s interested in their product and exactly when they’re ready to buy. Innovations in technology and onsite analytics allow marketers to tailor their online ads based on consumers’ behaviour. However, critics of behavioral advertising believe it is invasive and unethical and can become quite worrying for consumers who believe advertisers have their personal data. However, if privacy issues can be addressed correctly, targeting provides benefits for consumers, advertisers, and publishers.